Muse Productions return to the stage in the Oakwood Arms Hotel from October 7th to the 11th with Alone It Stands the highly acclaimed comedy play written by Limerick author John Breen. Long before the professional era, the all amateur Munster side played host to the legendary All Blacks in Thomond Park on October 31st 1978. Unfortunately the game was never televised as Munster went on to beat the undisputed kings of rugby by 12-0. This award winning comedy is based on that giant-killing feat when the All Blacks demolished teams from all over Britain and Ireland and seemed unbeatable. The game lives in the folk memory and now John Breen’s play brings together the stories of those whose lives were touched by the occasion. The play centres on the sudden death of Donal Caniffe’s father during the game and also on Gerry, who sneaks away to watch and misses the birth of his twin sons. Author John Breen weaves a magical tale, bringing together a broad range of colourful characters and making ordinary peoples’ lives significant. From the eternally pessimistic Munster fan who becomes more paranoid with each score to the leader of a gang of children building the best bonfire in Limerick city. Described as a small play with a big heart, a cast of just six actors play 62 different characters, including players from both sides, the coaches, the referee, the crowd, a pregnant woman, several children and a dog. This brilliant comedy twists and turns at a breath-taking pace depicting a variety of events surrounding the match including a re-enactment of the match itself. Remember jinky little Tony Ward, Christy Cantillon and Donal Canniffe, Seamus Dennison and Stu Wilson – David vs Goliath. Hear a bevy of Bunratty beauties serenade the feisty New Zealanders and follow Lanky and Gerry’s odyssey as they search for the elusive tickets to the match. You don’t have to be a rugby fan to see this, all you need is a sense of humour. The production mixes large scale action with intimate moments. The laughs come thick and fast, but it never misses a dramatic beat in any of the unfolding stories. Alone It Stands is a wonderful piece of entertainment that will appeal to sports fans and theatre goers alike. The play is directed by Ted Germaine and stars local actors Eoin Sheedy, Chris Willetts, Martin McNelis, Eoghan Rice and Aideen Clancy with Limerick man Mikey O’Gorman. It will run from Tuesday, October 7th to Saturday, October 11th commencing at 8.00pm nightly. Booking on 087 155 3055. Don’t miss it! Local theatre company Muse Productions are in the final weeks of rehearsal for their autumn production of Alone It Stands the highly acclaimed play by Limerick author John Breen. This award winning comedy is based on the historical victory Munster Rugby enjoyed over the mighty New Zealand All Backs in 1978. The All Blacks had demolished national and regional sides from all over Ireland and the UK and seemed unbeatable. On October 31st they met Munster, an amateur provincial side, and looked set to add another annihilation to their perfect record. As legend would have it however, the unthinkable happened and Munster not only defeated them, but the great All Blacks did not even score. Munster had prepared for the clash with an embarrassing 39-3 defeat against Middlesex and a flukey draw against London Irish. A white-wash was expected to the extent that no television crew even turned up to record the match. A stunned local crowd of just 16,000 spectators were the only witnesses to one of the finest moments in the history of Irish sport and this momentous event has become the stuff of legend. Author John Breen weaves a magical tale, bringing together a broad range of colourful characters. From the eternally pessimistic Munster fan who becomes more paranoid with each score to the leader of a gang of children building the best bonfire in Limerick city. A cast of just six actors play 62 different characters, including players from both sides, the coaches, the referee, the crowd, a pregnant woman, several children and a dog. This play requires an enormous level of physical performance to create a sense of the excitement experienced at a live sporting event. It mixes large scale action with intimate moments. The laughs come thick and fast, but it never misses a dramatic beat in any of the unfolding stories. It is directed by Ted Germaine and stars local actors Eoin Sheedy, Chris Willetts, Martin McNelis, Eoghan Rice and Aideen Clancy with Limerick man Mikey O’Gorman. The production will run from Tuesday, Oct 7th to Saturday, Oct 11th commencing at 8.00pm nightly. Booking on 087 155 3055. Don’t miss it! Muse Productions are proud to announce that our Spring production will be the superb comedy “Alone it Stands”. 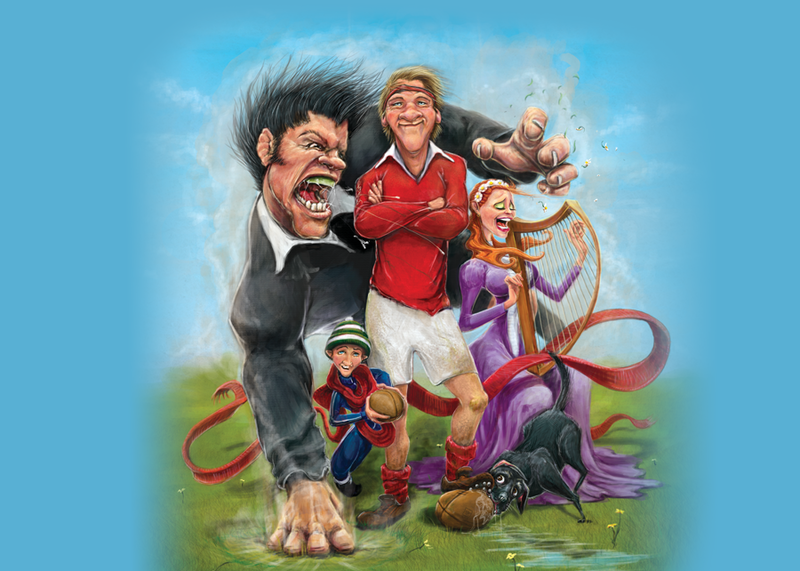 Written by local Limerickman John Breen, this hilarious play tells the story of the famous 1978 defeat of the All Blacks by Munster in Thomond Park. With a cast of only 6, we will meet Tony Ward and his Munster Teammates, The All Blacks, Shannon fans Gerry and Lanky, Gerry’s wife Mary who is expecting twins, Spyder and the lads who are building the best bonfire ever, the Cork gentry up for the match, and of course the Bunratty Singers! Brilliantly observed and effortlessly witty, this promises to be a treat for fans of Rugby and Theatre alike. The first reading will take place this Thursday, Feb 6th in the Oakwood Arms at 7:30pm. The cast required consists of 5 guys and 1 girl, all of whom will play multiple characters, with multiple accents. All are welcome, so please spread the word.